An annual rite of summer in Salt Lake City is the Thursday night gathering at Pioneer Park known as the Twilight Concert Series, which will be held this year from July 21 through Sept. 1. The folks who put it on, the Salt Lake City Arts Council, have just announced the 2016 lineup. Keep reading City Weekly for more information and updates on the bands. Not only are local residents treated to top national acts at an unbelievably low cost, but they'll also be exposed to local talent who will be opening for the headliners—four of which were winners of City Weekly's 2016 Best of Utah Music competition. So without further ado, here's the 2016 lineup, along with notes on the bands provided by the arts council. 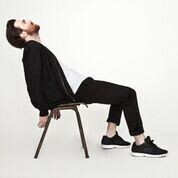 Chet Faker, Melbourne-raised, Brooklyn-based Nick Murphy, writes, performs and records his own music. He released his debut album Built on Glass in 2014. Chet Faker will be supported by Canadian electronic artist Kaytranada. Big Boi came across Phantogram while surfing the web. He arranged to meet them and from there, the collaboration Big Grams was born. Anderson .Paak and The Free Nationals will also perform infused hip hop and R&B. Thomas Wesley Pentz, better known as Diplo, is a musician/DJ/producer, one of the most dynamic forces in music today. Jenny Lewis is a Los Angeles-based singer-songwriter and musician. She returns with her new album, The Voyager, her first solo LP since 2008. Garage punk trio, Shannon and the Clams join Jenny on the bill. 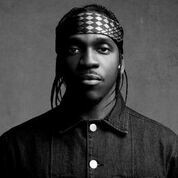 T is signed to G.O.O.D. Music/Def Jam Recordings. Digable Planets: Digable Planets, the alternative hip-hop trio comprised of Mary Ann “Ladybug Mecca” Vieira, Craig “Doodlebug” Irving, and Ishmael “Butterfly” Butler. Their lead single “Rebirth of Slick (Cool Like Dat)” is from their debut album Reachin’. Grimes, Canadian artist Claire Boucher, is best known for her work as a producer, singer and songwriter. Her fourth album, Art Angels, was released at the end of 2015. 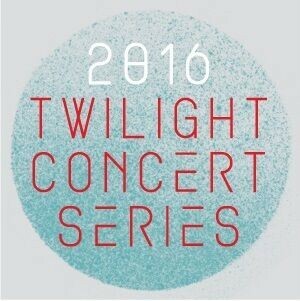 Australian psyche-dance band, Jagwar Ma, will also perform. 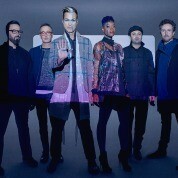 Fitz & The Tantrums is a modern pop-combo band based in Los Angeles. Their self-titled album featuring the song "Handclap" will be available on June 10. New Orleans’ native Trombone Shorty & Orleans Avenue will bring his hard-edged funk to the evening. General admission tickets are $5 in advance or $10 the day of show. Early bird tickets are on sale through May 31 at $30 for all 7 shows; season tickets will increase to $35 June 1. Tickets are available at 24tix.com and all Graywhale Entertainment locations throughout the valley. Gates open at 5 p.m. and music starts at 6:30 p.m. at Pioneer Park located at 350 West 300 South in downtown Salt Lake City.